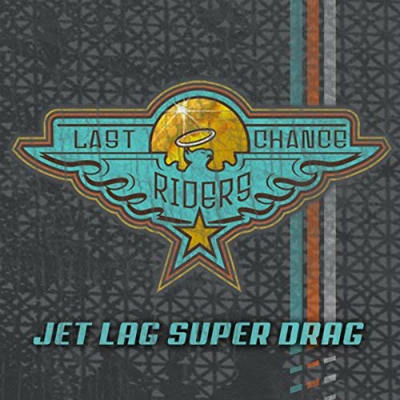 Jet Lag Super Drag is an energetic and soulful rock release from Atlanta based band “Last Chance Riders.” The album has a features a classic rock inspired sound with contemporary flair. The guitars really assert themselves, something which becomes apparent in the first few seconds of the opening track, Downright Disgusted. Whenever the guitars kick in on these songs, they just really have a bite to them. This is not “light rock.” Their sound reminds me a bit of The White Stripes in that it’s very loud and has an analog quality. Vocalist Jessie Albright does her part with vocals which match the intensity of the guitars and give the band its distinct identity. It would be easy to get away with a less capable singer with this kind of music because the guitars are such a powerful driving force, but Jessie Albright turns out to be a phenomenal vocalist. She really knocks out these songs, balancing emotion, musicality and maxed out rock n roll. Her accent gives it away that you’re listening to a “southern rock” band, but the group’s appeal is by no means regionally limited. The eclectic mix of detectable musical influences ranges worldwide. There are shades of everything from David Bowie’s “Rebel Rebel” on here to AC/DC. This is a really solid, professional album.